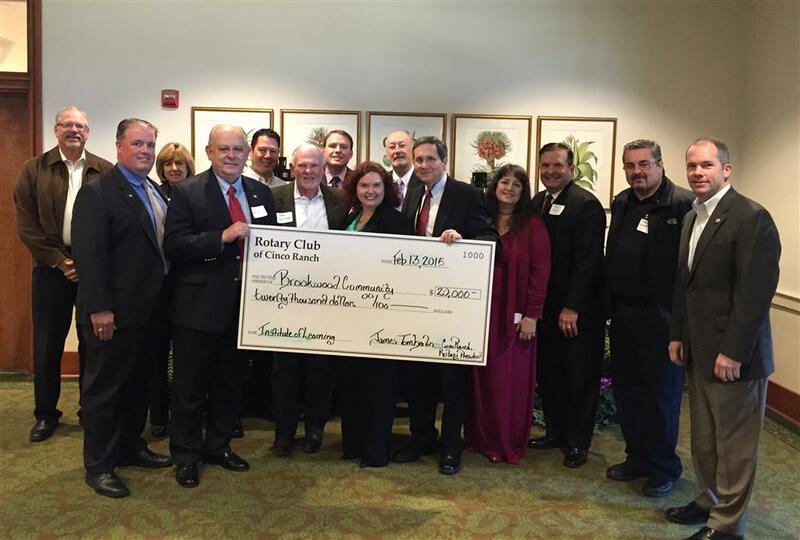 Members of the Cinco Ranch Rotary Club present a check for $20,000 to The Brookwood Community. The donation represents proceeds from the Katy Wine Fest held at Brookwood in November 2014. The proceeds of the Katy Wine Fest support Brookwood’s Center for Learning. Learn more about Brookwood’s story at www.brookwoodcommunity.org. Visit www.katywinefest.com for more information about this fundraising event.